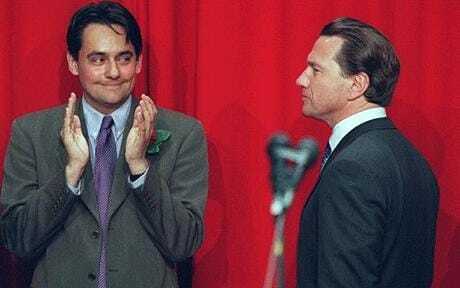 Were you still watching on election night 1997 when Stephen Twigg defeated Michael Portillo in Enfield Southgate? My late wife and I were. Great, wasn’t it? We went to bed shortly afterwards with tired smiles and a feeling of contentment. Talking of wives, my current wife is a real dog lover and she wouldn’t knowingly harm any animal. And yet, she laughed uncontrollably at the sight of a small, cute dog being accidentally thrown into a cement mixer in a famous sitcom scene. Schadenfreude, that most guilty of pleasures, seems to affect us all, no matter how well-intentioned we claim to be. Taking pleasure out of someone else’s misfortune has been the stock-in-trade for moral tales and for comedy down the centuries. From the comeuppance of Shylock to the humiliation of a self-important Basil Fawlty, the audience is invited to feel good or to laugh at witnessing the suffering of a rogue or buffoon. As a comedian once said, “I wonder what the German word for schadenfreude is”. Although we have no everyday word in the English language, there’s a whole host of idiomatic phrases to choose from. “Cut down to size”, “got what (s)he deserved”, “the higher they climb, the harder they fall”, “taste of your own medicine”, “(s)he had it coming” all spring to mind. Clearly our in-built sense of justice often includes a levelling down as well as a levelling up. So, why do human beings, even quite moral ones, exhibit schadenfreude? An interesting article in Psychology Today attempts to answer this question. A key point is this: “people … have a fundamental need to believe that the (social) world is a just place and that this belief is functionally necessary for them to develop principles of deservingness”. That’s fine, I get that… except that it doesn’t explain the joy at poor Binky’s fate. Of course, the core theme of the sitcom was that most British of subjects: embarrassment and the gradations of the English class system. 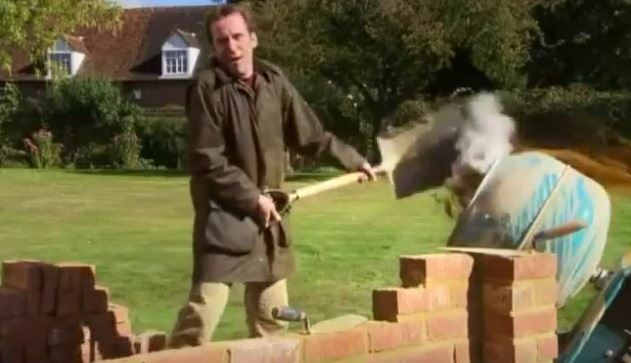 But I think we’ll keep our dog walking away from building sites, just in case. Right now, the UK government is in a state of collapse. In a few short weeks, the evil hubris of “crush the saboteurs” has given way to minority government, bribes to the DUP, open warfare in the Tory party, a breakdown in Cabinet discipline and the PM’s plea to opponents for ideas. 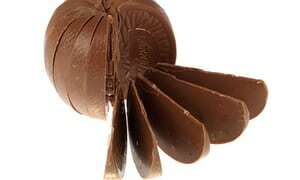 The head of the National Audit Office speaks of disarray between Government departments, a lack of policy-making capacity and the real danger of the UK’s approach to EU exit negotiations falling apart “like a chocolate orange”. The government’s official economic watchdog, the Office for Budget Responsibility, said this week that the UK economy was in a worse shape now to cope with economic shocks than it was in 2007, before the global crash. Exiting the EU on May’s proclaimed terms will be the biggest economic shock since World War II. The sheer size and breadth of the mess is becoming clearer by the day. So much for Tory austerity policies. Anyone brave – or insane – enough to say “strong and stable” one more time? Of course, I can’t help at times feeling some guilty pleasure at all this misfortune falling on a group of people who felt they were entitled to rule for generations. In my heart, my dream scenario – or, perhaps more accurately, the most benign nightmare scenario – would be this. May and her ragbag of incompetents and fantasists struggle on long enough to damage their reputation and electability for a generation. But in so doing, they don’t do so much damage to our economy and national interests that we – and especially the poor and most vulnerable – are harmed irreparably for decades to come. My heart may wish for such an outcome, but my head says the chances of this happening are vanishingly small. Perhaps I’d better stop my indulgence in schadenfreude pretty damned soon. But, hey, I guess the odd snigger from time to time might still be allowed.